I had the wonderful opportunity to once again visit the Oracle of Omaha, Warren Buffett and his partner Charlie Munger, the brains behind Berkshire Hathaway, a conglomerate of businesses that includes See's Candies, Fruit of the Loom, NetJets, BNSF and major shares of Coca-Cola and American Express. The two spent close to six hours with over 17,000 shareholders answering questions from the audience and from journalists that selected the best questions posed online. 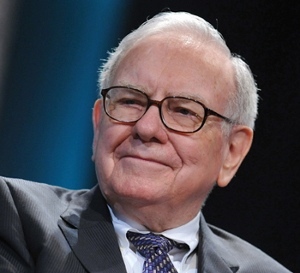 The topics ranged from Berkshire's affairs, to the economy, to Buffett's investing style. In my view, two of the best lessons in investing were explained there. One, invest in businesses with low capital requirements -- those that require little reinvestment of profits to maintain themselves. And two, know the three different asset classes and how to invest in them: currency-denominated investments; things that have value only because someone else will pay more for them in the future (precious metals) and wonderful businesses with competitive advantages and low capital requirements.